It's been a "cardiac comeback week for the Wildcats" according to blue host Evan Beck and red host Chad Payton dubs it "George Michael night" as IU fans need to keep the faith. Both hosts try to solve the issues plaguing their teams on this Twitter-fueled episode of RBH. Jim Godsey takes over the intern role while Walker repped his class at Homecoming. 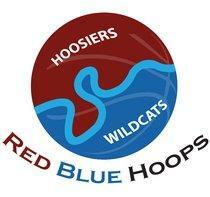 Fasten your seatbelts for this episode of Red Blue Hoops after IU's and UK's turbulent past week. Hosts Evan Beck and Chad Payton recap their teams' struggles and successes along with previewing the upcoming games this weekend. In a shocking twist of events, one host announces his support for Purdue ON AIR. This stuff can't be made up.